The Wide Brown Land for Me? I thought I’d share this powerful article with you. Anyone who has been into the red centre will understand what Bobby is saying here. The outback is like nowhere else on earth. It inspires awe and wonder, and for Australians – both indigenous and more recent settlers – a fierce pride. It is not uncommon to hear the comment from Australians who have visited the Outback – even from those of no particular religious bent – that it was in some way a spiritual experience. 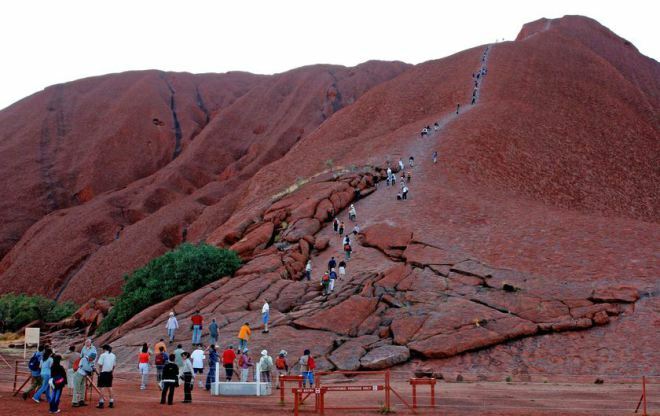 In particular, being in the vicinity of Uluru is often characterised as engendering a special feeling of a more or less religious kind. Having travelled extensively in Central Australia over the past thirty years, I can attest to having had these feelings frequently. Every time I see Uluru, I find it hard not to become tearful. What should we make of these reactions? I write this as a non-indigenous Australian. I use the words “we” and “us” to refer to me and my kind. This entry was posted in Uncategorized on 11/08/2015 by Deb McSephney.